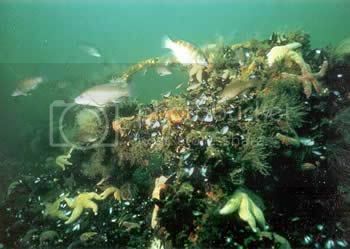 The Axel Carlson Reef, located 4.4 nautical miles southeast of Manasquan Inlet in Momouth County, will receive 800 tons of concrete pier pedestals on February 7, 2007, as part of the Division's Artificial Reef Program. 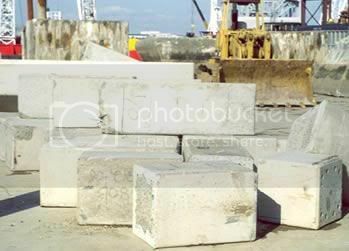 The pier pedestals (pictured below) were obtained from a dilapidated pier in New York Harbor that was recently demolished. The intent of deploying the pedestals is to enhance the drift fishing area at the south end of the reef site. The target date for deployment of February 7 is subject to weather and sea conditions. For further information regarding the deployment of the vessel contact Hugh Carberry at 609-748-2022.